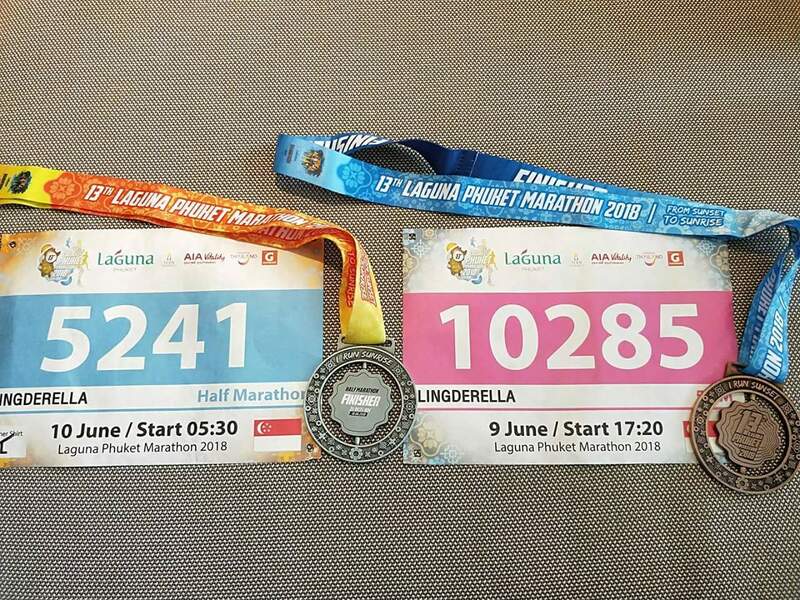 My Laguna Phuket Marathon 2018 [5km & HM] (by Lingderella) | JustRunLah! Luckily after a few dose of pain killers I felt much better already and hoped that my runs will be fine. We stayed at Outrigger Laguna Beach Resort, it’s an awesome stay and only about 5 minutes walk to the race site which also was the REPC location. 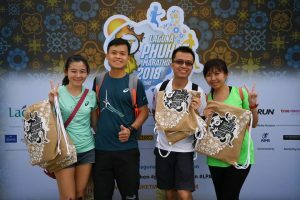 REPC was efficient as we can check our bib number beforehand on their website and fill up a form so we just need to pass the volunteers our form and they go trace accordingly to our bib number. They are so sweet, our bib and race singlet are already put inside an envelope. After collecting our race pack, we proceed to a counter for us to check whether the timing chip is working or not. 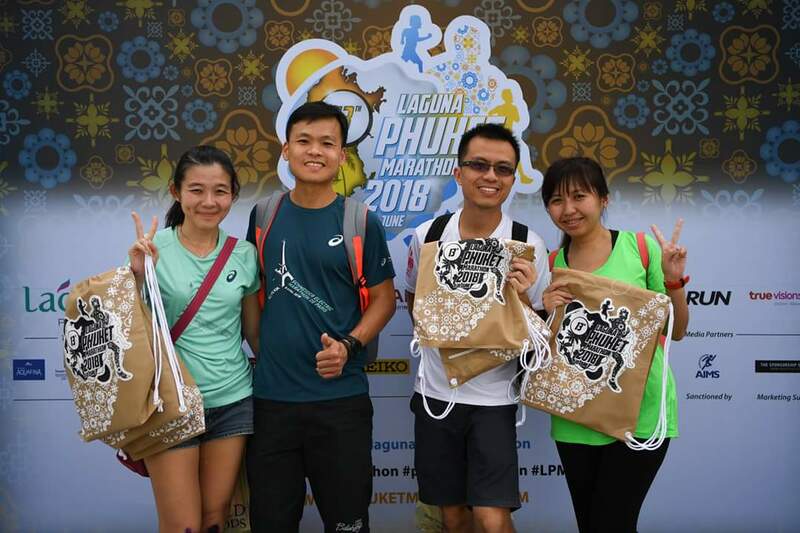 It’s the 13th Laguna Phuket Marathon this time. Justina and Chee Beng participated in the 5km and full marathon category while Willis and I participated in the 5km and the half marathon category. 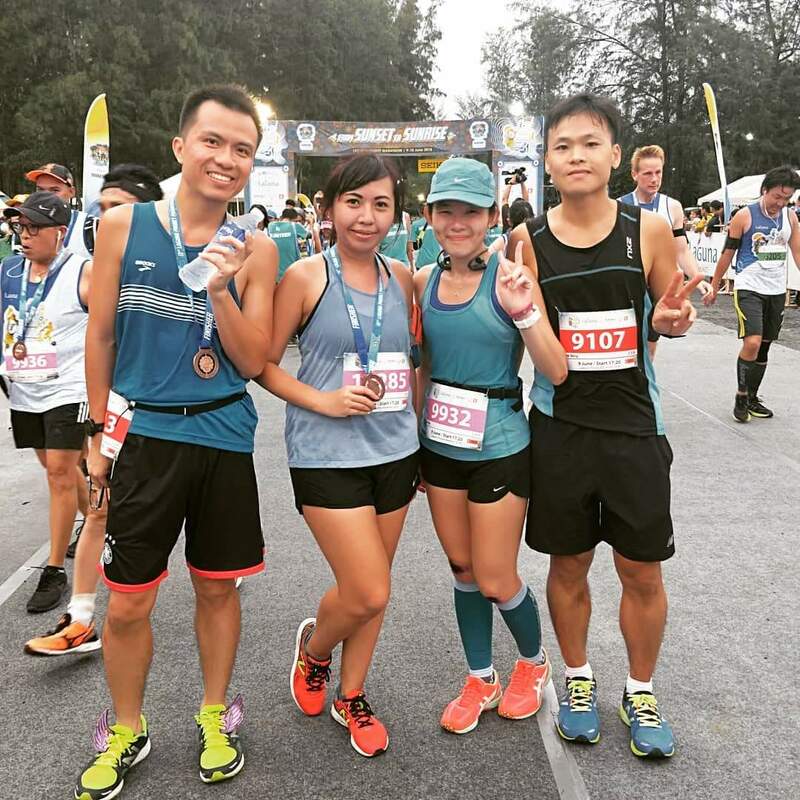 I didn’t really put in much effort in my trainings and actually was even using this half marathon as a LSD for Gold Coast Marathon (Cross my fingers and hope that the Gold Coast trip will still be happening and goes on smoothly) as I already paid a coach for the runcation package for the GCM but till now seems like air tickets and accommodations not even settled though its only just about 2 weeks away already. 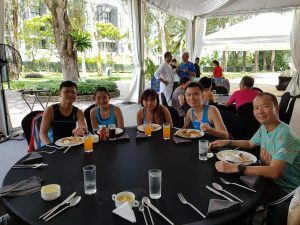 On Saturday there’s a Pasta party lunch for the half marathon and full marathon runners, sort of carbo loading for the runners and the emcee said that there were runners from more than 50 countries and 260 runners from Singapore participating in the various categories! That’s a lot Singaporeans! 😁 And the very same day there’s the kids 2km, 5km and 10km category whereas the half marathon and full marathon race was on Sunday. The 5km were flagged off at 5.20pm. There’s a bit of drizzling but weather felt good to me as I prefer rain than sun. Nothing interesting or any nice sceneries along the route. 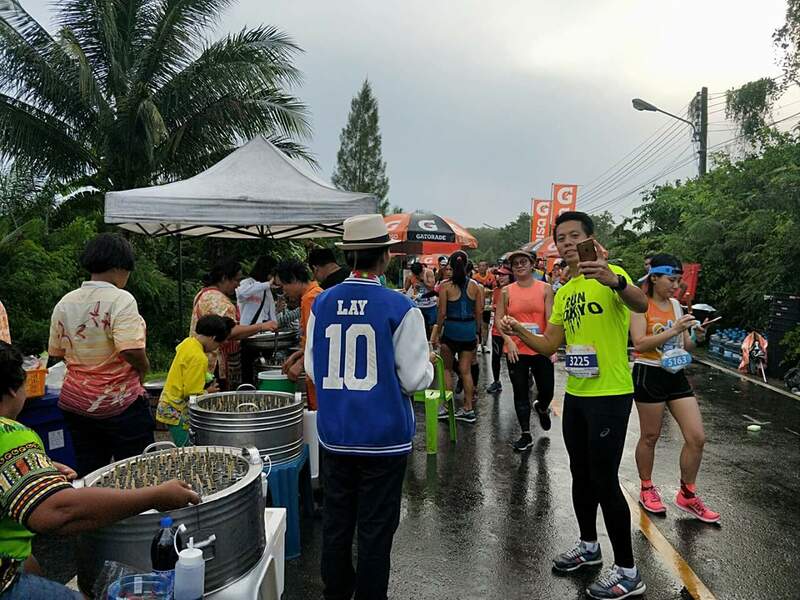 The 5km route even have 2 hydration points. And there’s a lot of photographers along the way. On Sunday morning, Willis and I just reached race site minutes before flag off. I was hoping that the route could bring us more scenery than the 5km route but it was quite disappointing as we only ran pass villages, streets and houses, plantations and kampungs. It’s just very similar to the Camel Muar I ran in Malaysia last year except this time with some buffaloes and chickens along the way. No pretty scenery like I’ve imagined with pretty beaches and sound of waves hitting the shores. Maybe only the full marathon runners had enjoyed prettier sceneries. Flag off for the half marathon was at 5.30am, which was Singapore’s 6.30am. But luckily the sunrise is not so early and I didn’t felt much sun at all the entire run. It was a quite a heavy drizzle when flag off but it stopped shortly luckily. 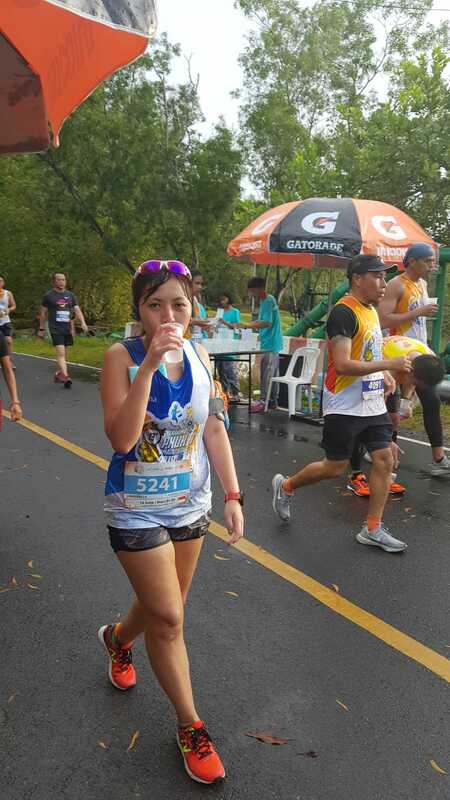 Though its not hot or humid but its not cooling either and I can see many runners already fully soaked in sweat just after the first few kilometers into the run. 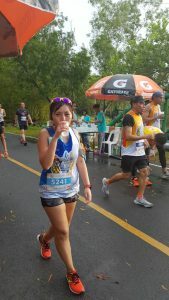 I took sponges at all the hydration points to keep myself cool though its quite unglam for me lah because I just kiap it with my sports bra though I don’t know whether it helps in cooling me down or not but it definitely feels shiok 😆 Though the entire route I noticed only just a van, which is their toilet. Maybe they had more than just one throughout the route just that I didn’t notice it and there’s no direction signs as well. Medals is really pretty and it spins! 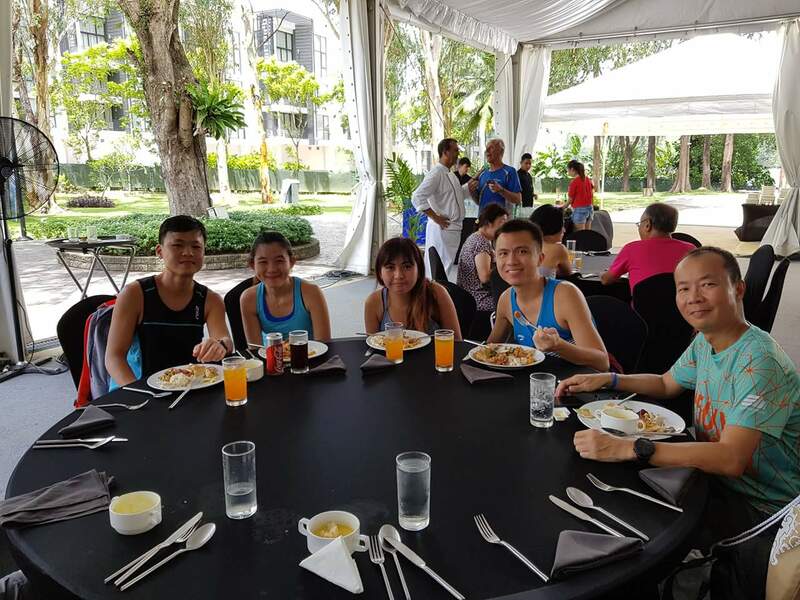 There’s massage available at the race village and food provided for the runners as well. 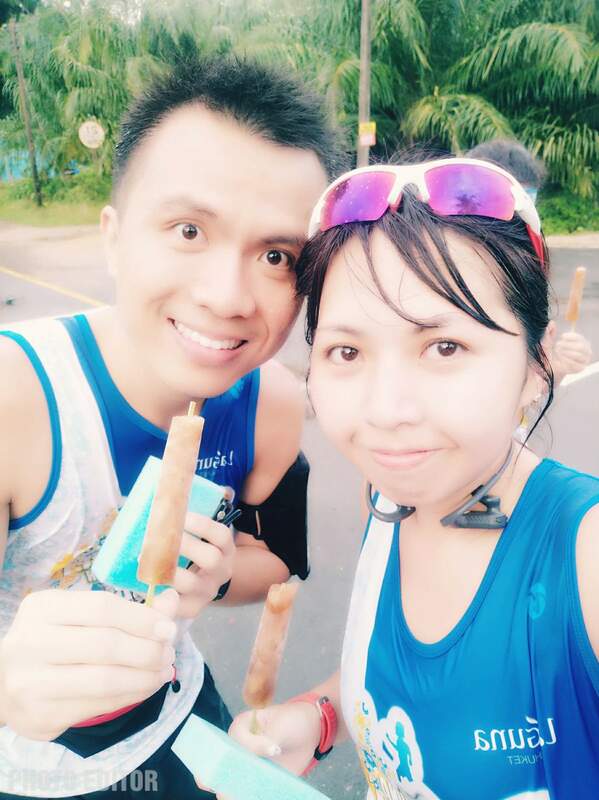 There’s finisher tee for both the full and half marathon as well and results were out on their website as soon as we completed the run 😍 Really appreciate my dear Willis for running by my side all along motivating me ❤ I will definitely want to go Thailand to have a runcation again but maybe not Laguna Phuket as there’s still so many places I had yet been to.